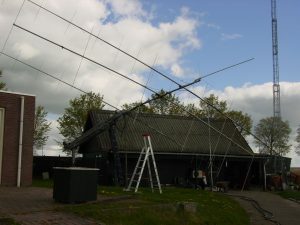 Maintenance to the 144 mhz station. 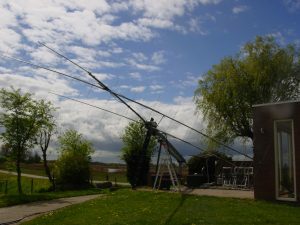 Two off the four 144 mhz contest systems had some issues during last contest. One tower had a blown up preamp and I was not sure what happened. 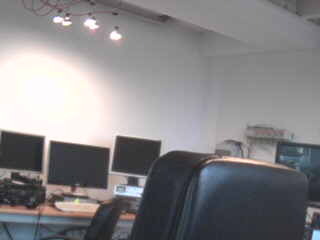 I had the tower down and replaced the 4 wire witching cable. I also removed some old cables. I think the real switch trouble was in a split connector in in the barn. This part of the station is working again. Second problem we had was with system two. We had bad swr and bad rx. 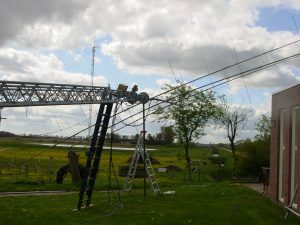 I had already replaced the rx tx relays on the top of the tower. First we thought it was ok but during als contest it went bad again. I had the tower tilt over and measured it all step by step. This payed of. The power divider was broken. Maybe when I measured it before, it made contact but when the tower moved a bit it lost contact. I replaced the power divider and it is now fine again. 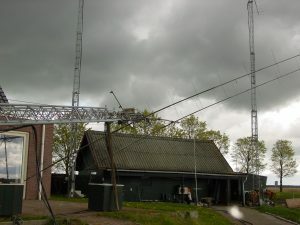 During the week I will fire up all four systems and test it with high power before the contest starts. It just fits with in the wall of the house. Tower 1 144 mhz down for repair. See the extra iron tube under the tower. Its for safety.